A line of CO2 lenses and mirrors for engraving and marking lasers that are designed to promote sharper cuts with fewer passes and are shipped the same day is available from Laser Research Optics of Providence, Rhode Island. Laser Research ZnSe Lenses feature coatings with < 0.2% total absorption values to keep them cooler and promote sharper cuts with fewer passes and the silicon turning mirrors have an enhanced silver DMBR coating to provide up to 99.6% reflectivity. Designed for engraving and marking lasers, they are optimized for 10.6 microns and are in-stock for popular marking lasers. Laser Research ZnSe Lenses are offered in 1/2” to 1-1/2” dia. sizes with focal lengths from 1” to 25” in 1/2” increments and the Silicon Silver DMBR coated turning mirrors come in 3/4” to 3” dia. sizes from 2 to 10 mm thick. Suited for OEMs or as field replacements for end-users, these CO2 optics meet ISO-10110 specifications for optical elements. 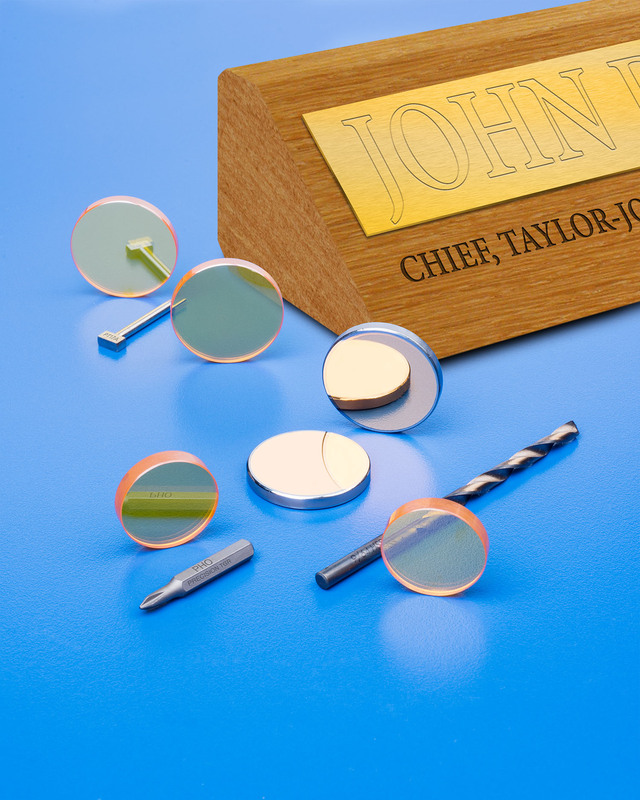 Laser Research ZnSe Lenses and Silicon Silver DMBR Coated Turning Mirrors are priced according to configuration and quantity; with 24-hour delivery.